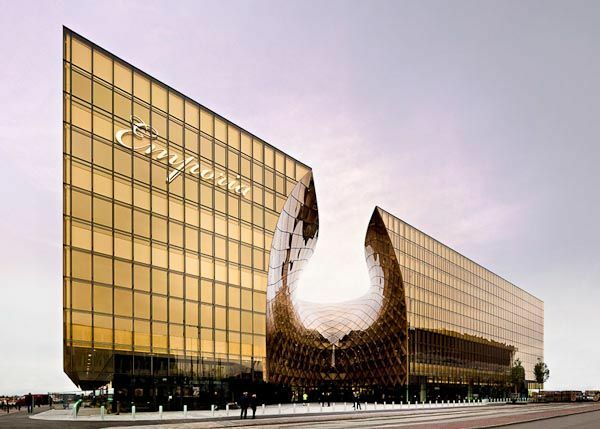 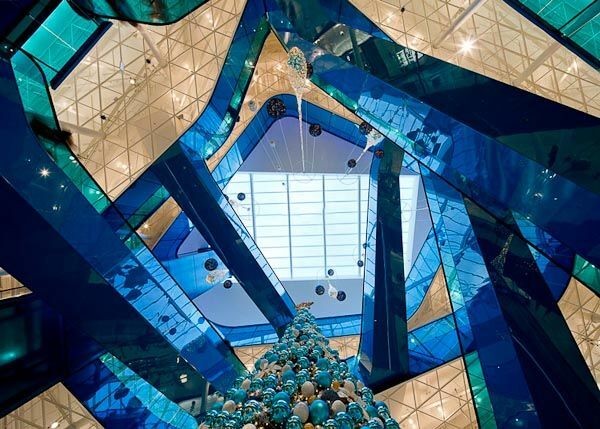 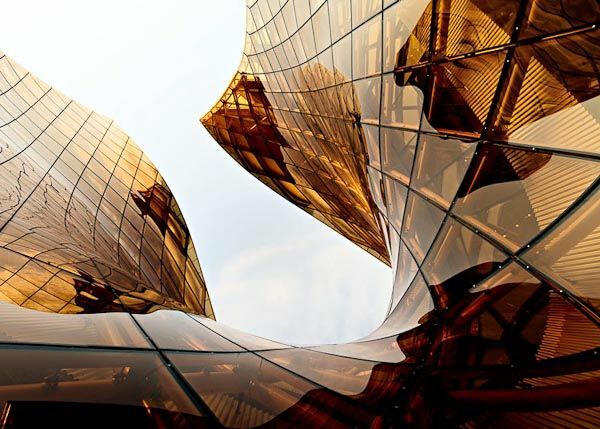 The entrance to Malmö's Emporia Shopping Center resembles melted amber. 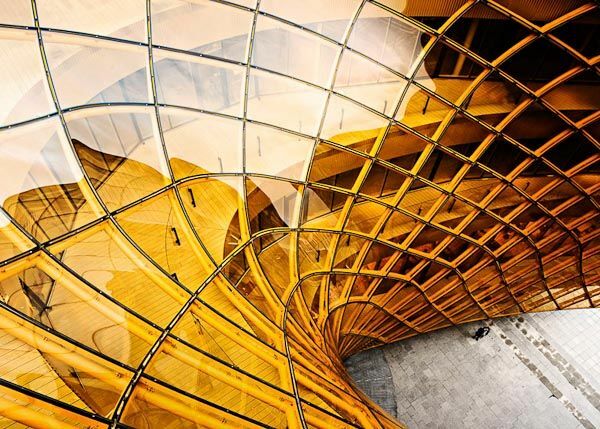 The curving golden glass stretches across a gridshell structure, which curves up and back to allow daylight to penetrate the entrance courtyard. 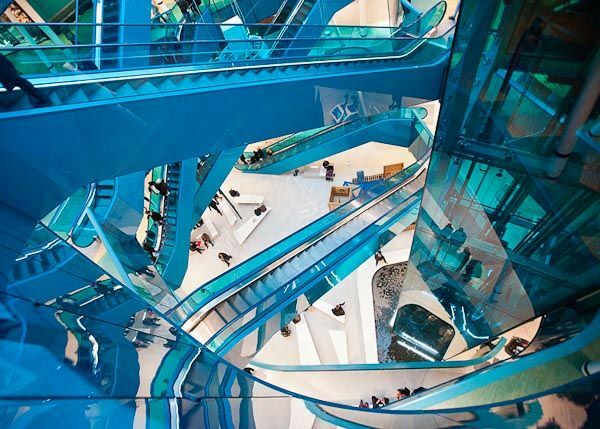 From here, shoppers are led towards three storeys of retail arranged around a figure-of-eight plan. 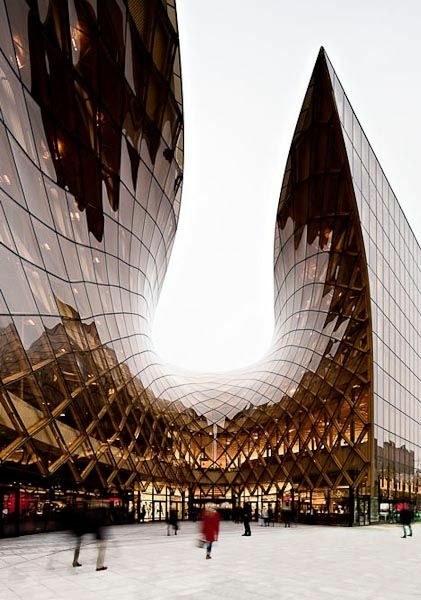 The architect of the Emporia project is Gert Wingårdh of Wingårdh arkitektkontor.